Today, a little bit of this and that, from submissive puddy cats to a bunch of breaking news about books. 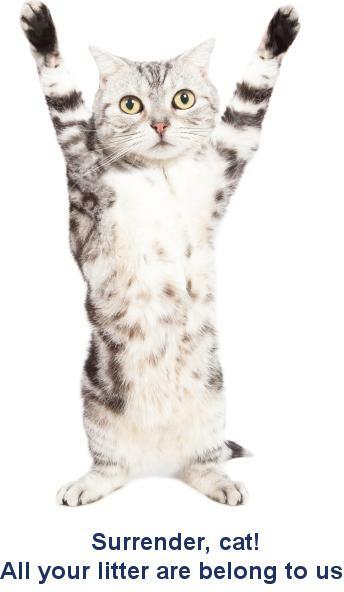 A little while back, I posted some science fiction cat humor, along with a captionless photo. The best caption so far, submitted by a friend who wishes to remain anonymous, appears below. My next book is coming to your local virtual bookstore very soon–October 21st. It isn’t available for advanced ordered yet, but that will come soon. 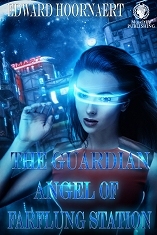 Take a peek at The Guardian Angel of Farflung Station. Ongoing right now is a virtual book tour for the third book in The Trilogy of Tompa Lee. Lots of exciting stuff going on, including giveaways. Be sure to drop by! 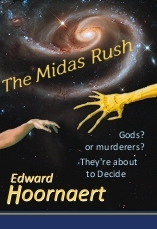 One of my backlist titles, The Midas Rush, is now available in paperback in a new edition. I have a soft spot for underdogs, and shepherd Tresky Buffrum is as lovable and unlikely a hero as you’ll find on all of planet Jones!